This is the first time I've tried Barry M Hi Shine Gelly Nail Paint and I love it! 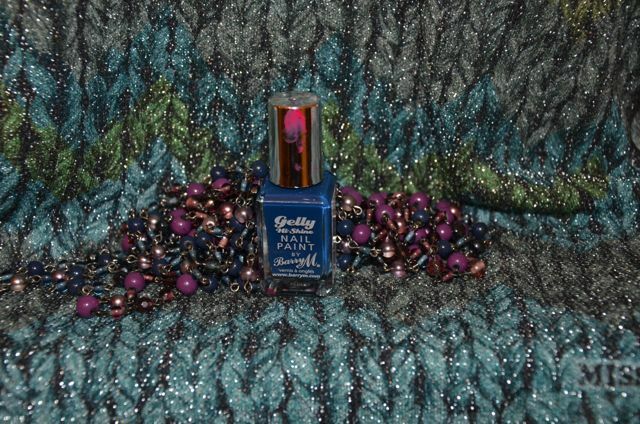 Pictured above in Blue Plum, the Gelly polish is beautiful, shiny and has the most amazing finish, especially for a product that only sets you back £3.99! 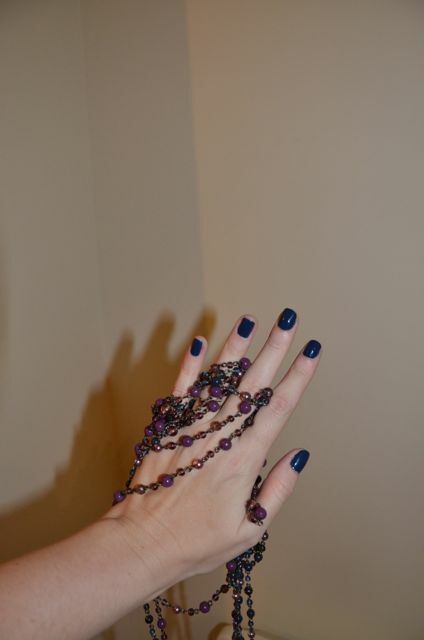 I absolutely love the color, which is a sort of navy blue with a hint of teal - it's perfect for this time of year. 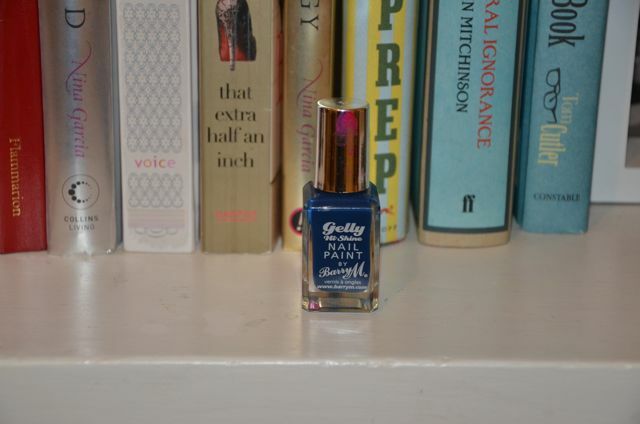 The Gelly nail paints are a little more difficult to apply than regular Barry M nail polishes because it's so thick, but it's well worth the effort for a professional look you can achieve at home. Two coats are definitely required in addition to base & top coats. I'm well impressed with this product and can't wait to try out some other colors. Have you used any really amazing nail polishes lately? I'm always looking for recommendations!